Glen, Sean and I hiked up Falling Waters Trail to Little Haystack. 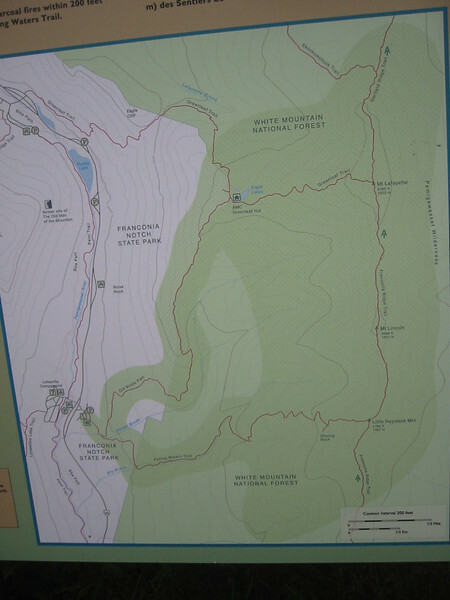 Then traversed along the Franconia Ridge Trail over Lincoln to Lafayette. Coming off Lafayette we were hit with a very heavy rain shower. Of course, the skies cleared up a little after we ate our lunch at Greenleaf Hut on the Old Bridle Trail. 9 mile hike in all.